Subprime Customers May be the Answer to a Sales Slump | Sub Prime Auto Leads - Car Sales Leads - Special Finance Car Loan Leads by CyberLead, Inc. The bad news is that the auto industry forecasts a sales slump through 2021. Borrowers today are assuming more debt due to the increase in cost of goods and services yet their wages remain stagnant – which makes disposable income much harder to come by. So how do dealerships and automotive companies stay afloat during this decrease in demand? The answer and the good news may just be to target subprime customers. Automotive companies often look to their captive lenders in times like these. Captive lenders have the ability to lower their lending standards to keep pace meeting sales volume objectives. When lenders lower their standards, it opens the market up to more borrowers. Subprime borrowers, those who often have more cash or income than they do a good credit rating, are now easier to acquire with the lower lending standards. Traditional financing options only target a certain percentage of consumers, but offering subprime auto financing options to customers with less than perfect credit, can help a car dealership to expand their business reach and increase revenue and sales by tapping into a new and extended customer base. Subprime auto loans, which charge higher interest rates to consumers that are considered a high risk, can offer an affordable solution to the consumer with bad or no credit, and to a dealership that is looking to increase their sales. If your car dealership offers subprime financing options to customers, partnering with a successful lead generation company can help to increase sales. CyberLead Inc. is a lead generation company that produces results. They reach thousands of interested car buyers through a system of automotive websites and harness traffic that is traditionally difficult to reach through your own marketing efforts. SubPrimeAutoLeads.com utilizes a strong network of search engine-optimized domains that provide quality subprime automobile leads to auto dealerships. Through the use of an online immediate application process, subprime customers are screened and credible leads are sent directly to a local car dealership. 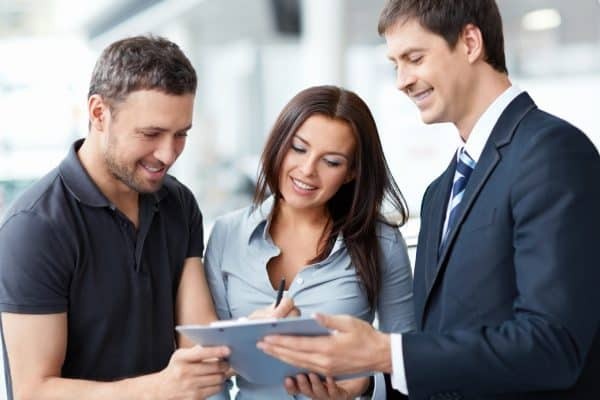 The dealership gets the lead and then has the opportunity to sell the vehicle and achieve a sale. If you partner with SubPrimeAutoLeads.com, your dealership will benefit from increased sales, more exposure, targeted marketing and higher customer retention rates. Visit our website: Subprimeautoleads.com or call 866-944-9815 today to expand your business reach and increase your automobile sales potential today.